In 2010, the 13 tiger range countries pledged to double the number of tigers by 2022 under the Global Tiger Recovery Progam, a goal touted to be the highest level of commitment to bump up the tiger population. Tiger recovery in most sites is dependent on recovery of prey population which is a slow process. The study recommends that resources should be committed to achieving biologically realistic targets. Over the span of the 20th century, the world lost approximately 97,500 tigers out of an estimated 100,000. That is 97.5 percent of the tiger population vanished. Tiger numbers shrank with the speed and alacrity of a shallow puddle in a hot Indian summer. Of the vast tracts across Asia that the tiger once dominated, only pitiable ranges remained, probably more out of sheer luck than any conscious desire to conserve them. By 2010, less than 3,200 tigers survived in the wild, barely clinging to less than five per cent of their historic range. That’s when the 13 tiger range countries finally took note and pledged to double the number by 2022 under the Global Tiger Recovery Program (GTRP). But while the will might be there, is such a plan backed by an equal enthusiasm in planning and policy, by science or by the realities of these tiger areas? Just like almost any other species recovery plan, the GTRP is quite site-specific, not just between countries but even within them. With just four years left on the hourglass, there has been halting progress. According to a new assessment of the recovery potential of 18 sites across the global tiger range, while the potential to reach the target is not under doubt, the timeline of 2022 may not be realistic. These sites, which currently support 165 tigers, have the potential to harbour 585 individuals, which constitute a 15 percent increase in the global population and represent over a three-fold increase within these sites on average. Tigers are not specimens on a petri dish, just waiting to multiply on command. Tigers, for that matter any species in the wild, are subject to several drivers of growth and depletion. Ecosystems are connected, complex and dynamic, and often do not behave as expected because we still understand very little of ecological and evolutionary processes around us. While countries might sign on to targets, which by itself is a grand gesture, it is still pretty much an experiment. Conservationists and field practitioners are wary of backing these numerical aims. “This ‘doubling tigers in ten years’ seems to be a PR (public relations) moving goal post, originally set up in 2010. If you look at India, there is 300,000 suare kilometres of potential tiger habitat which can support 10,000 to 15,000 tigers. However, from about 2,000 tigers 50 years go, India now has about 3,000-3,500… so doubling to 6,000 tigers say by 2022 does not seem realistic,” said Ullas Karanth, director for Science-Asia, Wildlife Conservation Society, New York. Put into a simple population biology growth rate equation, the present recovery plan would require all populations around the globe to achieve nine percent per capita annual growth rates consistently for 12 years. But given the population characteristics of tigers, only a four per cent per capita annual growth is realistic, said Abishek Harihar, population ecologist, Panthera, and adjunct faculty, Nature Conservation Foundation, Mysuru and a co-author of the new assessment. While there are several compelling hindrances to tiger conservation in complex environments such as in India, one of the primary issues that limits tiger population recovery is inadequate prey populations, the pressures on these populations and their recovery. The survival of any species will depend on the quality of the habitat, availability of prey and water, the threats and pressures on the population, its ability to reach reproductive age and the further dispersion of individuals into new home ranges. Therefore, adequate prey is a prerequisite for tiger recovery and for large carnivores like tigers, the prey base is ungulates. 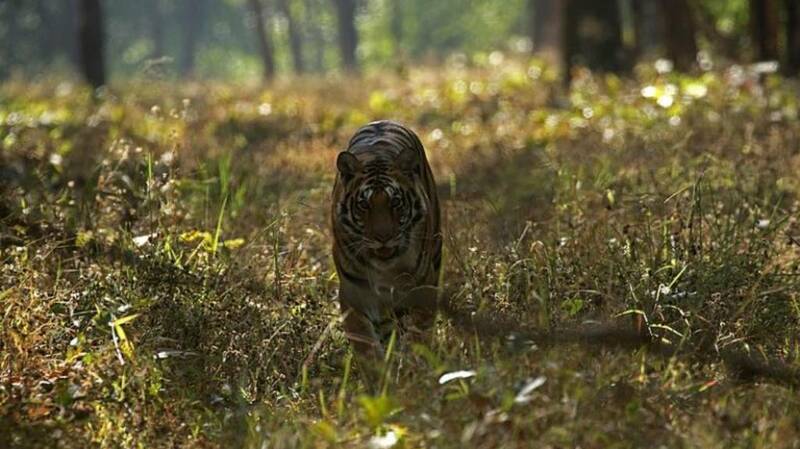 “Prey populations figure at the top of the list when it comes to tiger recovery. 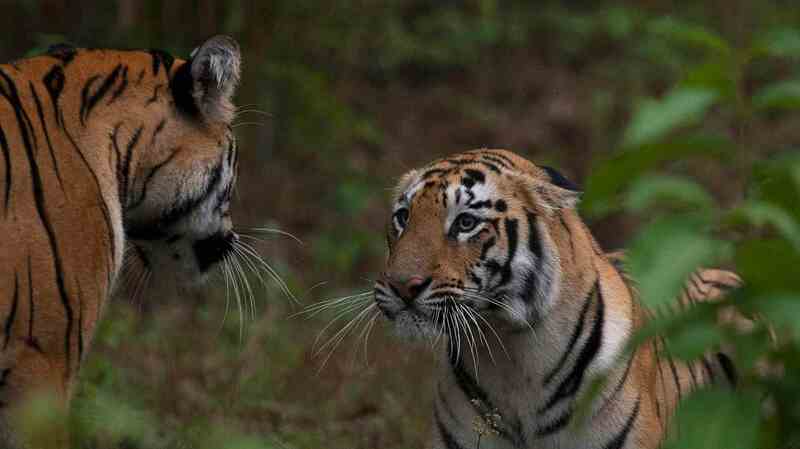 Large tracts of forests in central India (Chhattisgarh, Jharkhand, Odisha) as well as in north eastern India (Assam, Arunachal Pradesh), despite having excellent connectivity, are devoid of tigers due to low or no prey,” said Bivash Pandav, who works in the Department of Endangered Species Management at the Wildlife Institute of India (WII). Ungulates, that is hoofed animals, are highly threatened in the wild for reasons from poaching, habitat degradation and loss, conflict deaths etc. A global assessment shows that tiger prey are some of the most “in-danger” as per the International Union for Conservation of Nature (IUCN). While in South East Asia, prey poaching for meat is one of the largest problems, some of which is linked to cultural events, in India and Nepal, large livestock populations also affect wild prey. 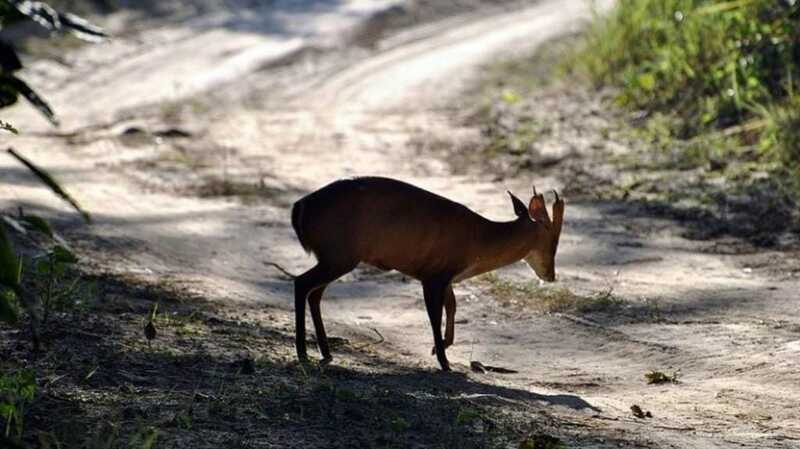 Though poaching is not the most pressing issue in India, there are other factors such as invasive species taking over forest areas and the lack of regeneration of palatable tree species for ungulates. However, there is evidence that prey populations and in turn predator populations can bounce back with increased protection of forest areas, better management, reduction of threats, alternatives to fodder, grazing, livelihoods to those dependent on these areas – evidence-based, balanced and equitable development that listens to both the wild and the human. “There are many successful examples where removal of livestock has brought both prey and predators back in to an area. The Seigur plateau (now part of Mudumalai Tiger Reserve) and adjoining Moyar valley (now part of Sathyamangalam Tiger Reserve) in Tamil Nadu are fantastic examples where removal of cattle camps (locally called as 'pattis') has brought both prey and predators back in the area,” said WII’s Pandav. In the early 1990s, these areas were full of unproductive cattle, primarily used for dung, which was sold forward to tea and coffee estates as manure. Research into this cycle revealed the amount of vegetation biomass that was being consumed. “Subsequently, the Nilgiri Wildlife Association used this information to lobby with the government and made the area cattle-free. 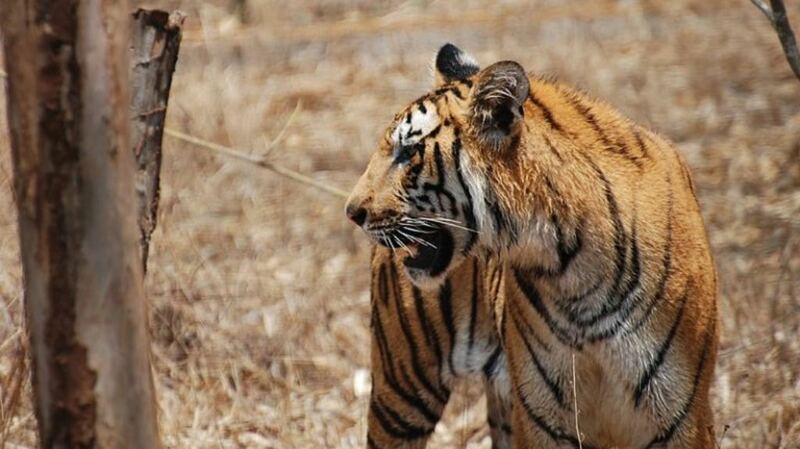 This place, which is now part of two tiger reserves, is now teeming with wild prey and predators,” added Pandav. There are also examples of relocation of people from within protected areas and its impact on regeneration and recovery. Pandav, who has studied the impact on Rajaji National Park, said that voluntary relocation changed the landscape. “The valleys that were left degraded for years due to livestock grazing gave rise to luxuriant growth of grass species, which was followed by a recovery of wild ungulate and tiger population of the area,” he said. A similar story unfolded in Bhadra Wildlife Sanctuary and Tiger Reserve where relocation led to recovery of 8-10 percent of forest area disturbed by human activities and a quadrupling of ungulate density, such as chital. Control of poaching as well as an understanding of the motivations behind poaching, which can be complex, is urgent. “In many major reserves like Bandipur, Nagarhole, Kanha etc, prey bounced back after poaching was controlled. This is a 10-20-year process. Tiger numbers will rise after the prey densities reach high levels. This natural process cannot be speeded up by dumping tigers from elsewhere as is done some times,” said Karanth. There are also factors of sheer reproductive biology of species and ecological differences in areas across tiger range countries that limit prey populations. “For example, the tropical evergreen forest or the pure sal forest in the Bhabar region of northern India has very little to offer ungulates” said Pandav. Low abundance of palatable grass etc limits prey density in these regions. Prey populations, their ecology, behavior, densities or distribution have not been studied as widely or deeply as tigers’ have been. One reason they have fallen through the cracks is the difficulty in surveying them. “In the forests of India and Nepal, at least methods like line transects (estimating population density) are possible and feasible. In south-east Asia, these methods do not even work. The forests are dense, terrain is terrible and already the prey populations are low,” said co-author Harihar. Although, now, incidental camera trapping data from predator surveys are generating more information about prey populations as well, the resolution of information is not particularly great. Harihar et al’s paper states how not knowing about prey is a critical factor impeding our ability to reliably set recovery targets and timelines for tigers. Detecting these species (required for accurate population density) in areas of low visibility and density, such as rain forests / tropical evergreen forests, temperate coniferous and steppe habitats, continues to be difficult. Considering that prey numbers can increase and concurrently so can tiger numbers, the obvious question then is the movement and spread of these populations for which the single most critical issue is connectivity of forests and protected areas. Reintroduction and recovery can work only if there can be dispersal into new areas and healthy, diverse populations can be maintained through genetic exchange. An example of connectivity affecting tiger recovery is western Rajaji. In 2009, Harihar showed how tiger numbers in western Rajaji are very low owing to lack of connectivity to a source and some historical poaching. “Later in 2012, we saw that the effects of loss of connect affected not only western Rajaji, but also the entire western Terai Landscape. But what is most critical, is that even after 30 years of conservation recommendations to restore connectivity, nothing has changed on the ground and that we are losing time for the tiger,” said Harihar. The commitment to tiger conservation is an optimistic exception in a world that is loathe to commit to ambitious targets regarding anything environmental – whether it is climate change or overfishing or deforestation. Such aims can often set a precedence for international action and inspire movements. A few conservation models based off the tiger model (multinational cooperation for large cats) are the Global Snow Leopard and Ecosystem Protection and Jaguar 2030 agenda.